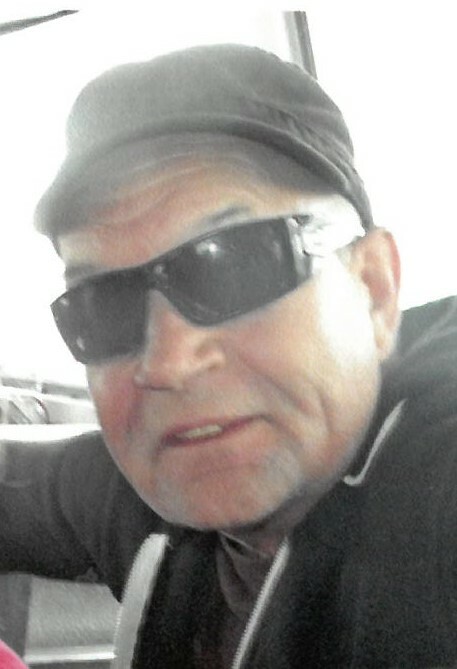 John E. “Oscar” Lindahl, age 63, of Gladstone passed away unexpectedly at home on Sunday, February 3, 2019. Oscar was born July 28, 1955 in Escanaba, the son of Art and Beatrice (LeGault) Lindahl. He graduated from the Gladstone High School in 1973 and worked as a conductor for the Wisconsin Central Railroad for many years He enjoyed the outdoors, hunting, fishing and carpentry work. He was very handy and enjoyed working on projects. He also had a strong love for music, playing and jamming with various local bands over the years. Oscar is survived by two daughters, Angie (Jack) Lynch of Dewitt, Michigan and Cassi Lindahl of Cleveland, Ohio; grandchildren, Mara, Keira and Kyda Lynch; his brothers, Greg Lindahl and Robert (Rita) Lindahl , both of Gladstone; his sister, Lisa (Darren) Hendon of Wisconsin and nieces and nephews. The family will receive friends on Friday, February 8 from 3:00 PM to 5:00 PM at the Skradski Funeral Home in Gladstone. Till we meet again old friend, R.I.P. Oscar, you will be missed! Our deepest sympathy to Oscar’s family. We got to know him as he frequented Garth Bluff Grocery on his coming and going from camp. He will be missed. Our prayer are with his family and friends. RIP cuz, gone way to young. I still remember the family holidays as we all gathered at grandma Esther & grandpa Erick’s house. Give them all a hug for me. Our condolences to his beautiful daughters Angie and Cassie and the rest of the Lindahl family. So sorry to hear of your loss. Our thoughts and prayers are with you all. You will be missed Oscar. Condolences from the Aho Family. ❤️ U Oscar!!!! You will be missed dearly. Who am I gonna pick on now?? Rest in peace, cuz I will be coming for u someday:) My condolences go out to family and friends. My prayers and hugs to the Lindahl family. Oscar was a good person and will be missed by many. My condolences to the Lindahl family. Oscar was a good man always pleasant to talk to he will be sadly missed.